At 09:50 Halliday entered the billet and politely requested that we form up outside. I say politely because, in deference to the Sabbath, his voice never exceeded a hundred decibels. The corporal seemed to take particular care over who stood where this morning and spent some time moving people from one rank to another before he was content. There were still a few flakes in the air as Halliday took his place at the head of the column and led us to the parade ground. The service was to be held in the open air and Halliday pointed out that he expected his flight to be the smartest on parade. Since our boots made no sound on the soft snow, his shouted “YOWPT...YOWPT…YOWPT, RIGHT, YAAA” sounded a little incongruous. The SWO was waiting for us and so were the other three selected flights. They were formed up as three sides of a square with the SWO standing in the centre. Under Halliday’s direction we became the fourth side of the square and were stood at ease. Halliday, stamping his boots soundlessly, took up a position to the rear and we came under the orders of the SWO. He looked a little less fierce than he had at our last meeting, no doubt due to the icicles dangling from his eyebrows and the ends of his moustache. Issuing his instructions, he caused a gap about four feet wide in one of the four sides of the square. We waited for only a few minutes before a staff car stopped on the perimeter track. We stood rigidly until the CO had reached the centre of the square. The SWO climbed down from the box and produced one of his very best salutes which was returned just as smartly. The SWO, with his next order explained the reason for the careful positioning of bodies, “Roman Catholics and Jews….About turn”. Half a dozen people in the rear ranks of the square turned to face the opposite way. “Three paces…Forward MAAARCH”. The identified outcasts moved ten feet away from the rest of us and stayed with their backs to us throughout the ensuing service without taking part. They were then called back into line and turned to face the centre. The SWO and the CO exchanged farewell salutes and the corporals took over again to march us back to our billets. We were impressed by the religious tolerance demonstrated by the RAF but a little amazed at the need for non C of E recruits being required to attend at all. I expect that the reason for that is also buried in the mists of antiquity. We were left to our own devices for the rest of the day. After attending breakfast the next morning, we were all ready for Halliday when he arrived at 08:00. The Sabbath now being over, he had reverted to his normal verbal volume. 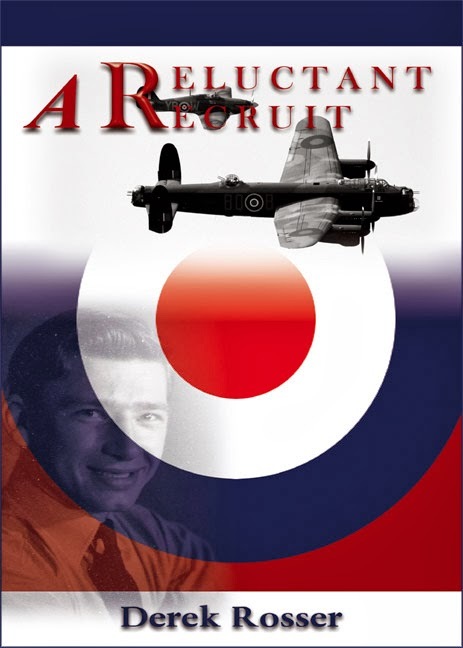 “Today you will receive your instruction from a member of the RAF Regiment. They think they’re SOLDIERS but we’re going to show them how to march and how to drill…OR ELSE.” He left the sentence unfinished but we could have finished it for him. Visions of the ‘Tin Room’ sprang to mind. The purpose of the RAF Regiment is to protect RAF installations wherever they may be and there is a friendly rivalry between the two arms of the service. The rivalry sometimes turns out to be not so friendly and the resulting skirmishes are said to be well worth watching.